Colton started going to shows when he was 1 years old and drove his first truck in 2013, performed in his first show in 2014 for Team Kid KJ. 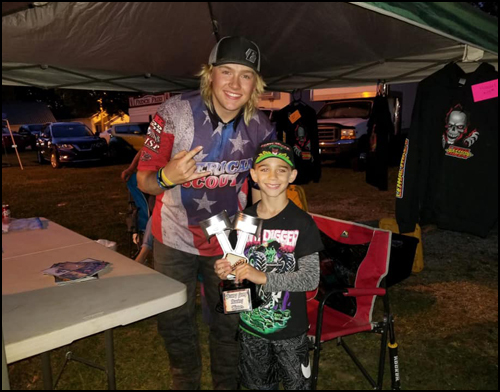 In 2015 he started driving the Ford Ecoboost mini monster for Team Kid KJ and in 2016 got his own truck, the American Scout. He started racing quarter midgets at Mini Indy Speedway at 8 years old. He is a Boy Scout with Life rank and currently working on the rank of Eagle Scout. In the future, he hopes to progress into a full size monster trucks.